The Index opened flat but saw huge dip towards the lows of the day at 8137 within the first few minutes of trade. Nifty saw some laboured movement and closed just negative at 8224.20, small loss of 11.25 points. The broader market was positive, with 874 advances to 603 declines. Developing Range as per Option Table stays at 8000-8500. 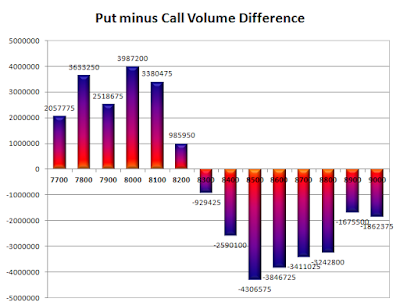 Call option 8300-8800 added huge 24.32 lacs OI with short covering seen at 8200 and below strike prices. 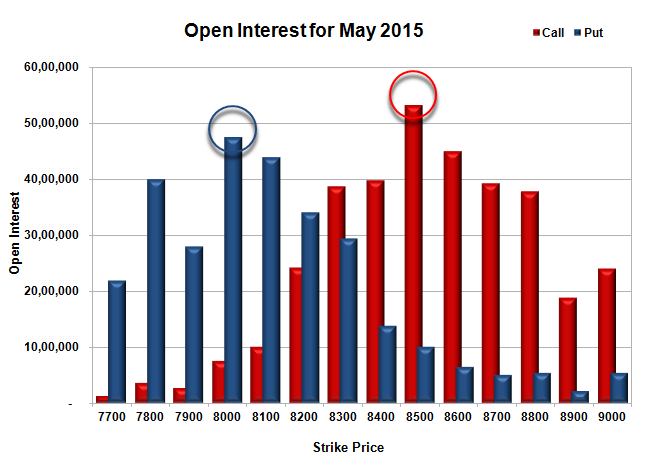 Put option 8000-7800 added 2.04 lacs OI with short covering seen at 8100 and above strike prices. Nifty Open Interest is at 1,40,81,550 up by 2,14,875, with decrease in price, most probably huge short build-up. 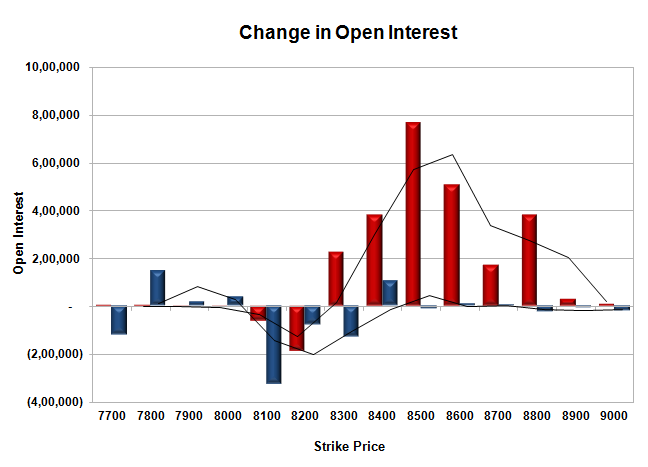 Bank Nifty Open Interest is at 17,11,775 up by 29,825, with increase in price, most probably long build-up. FII’s sold huge 19.52 lacs Futures, which includes 19731 contracts long liquidation and 58336 contracts short build-up, with increase in net OI by 38605 contracts (includes 53711 longs to 131778 shorts for the day) and the Average Price comes to 8778.84. FII’s Index future open contract as on date is 215432 Longs to 213447 Shorts, Net Short 78067 contracts. 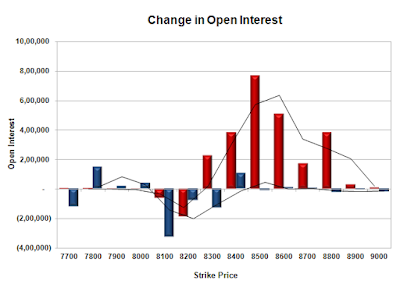 Initial support still at 8200, with OI of 34.06 lacs and below that at 8100 with OI of 43.95 lacs. Initial resistance at 8300, with OI of 38.75 lacs and above that at 8400 with OI of 39.78 lacs. Day Range as per Option Table is 8102 - 8313 and as per VIX is 8135 - 8313 with 8199 as the Pivot.